Ask anyone about grass, sedges or rushes and they’ll probably nod in acknowledgment but mention bristleworts and you would most probably get a blank look. 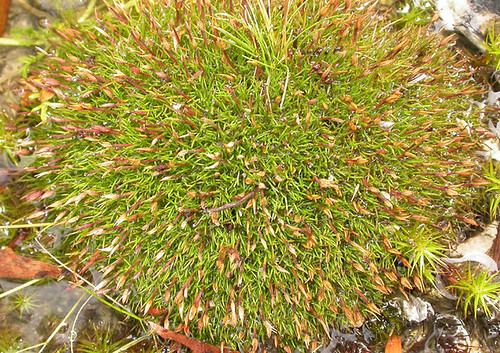 Yet bristleworts and their relatives are a conspicuous component of the Tasmanian vegetation. Anyone who has visited Tasmanian’s wonderful alpine environment has likely seen one, even if they didn’t recognize it as a bristlewort or relative. 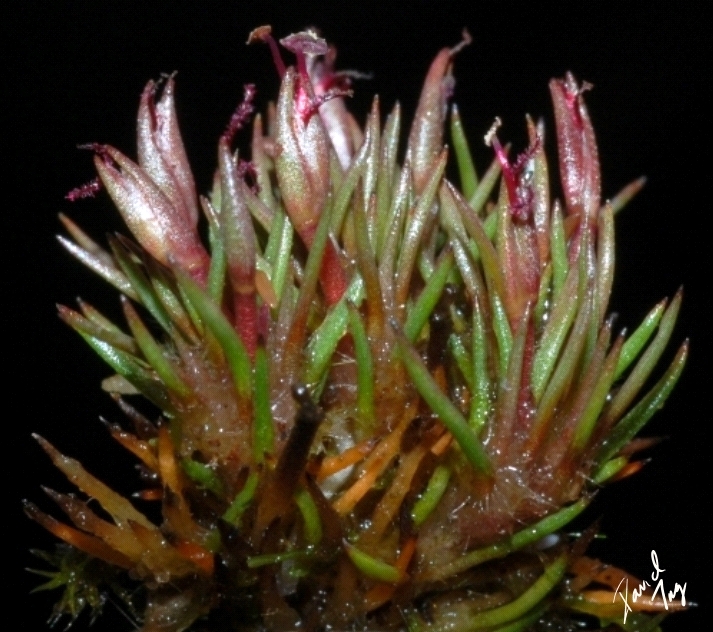 Bristleworts are from the Centrolepidaceae (Bristlewort family) and in Tasmania consist of only 3 genera including: Aphelia (Fanworts) – 2 species; Centrolepis (Bristleworts) – 8 species &; Gaimardia (Pincushions) – 3 species. A fair number of species of Centrolepis and Gaimardia are endemic to Tasmania. I have not had the pleasure of seeing Aphelia but Aphelia is probably the easiest to tell apart from the other two genera because the inflorescence is a spike with numerous bracts. Many species of Centrolepis and Gaimardia on the other hand, look very alike. Both genera have members that occur in alpine/subalpine environments and exhibit a densely turfed lifeform (like above). The Student’s Flora of Tasmania gives a very straightforward way of telling this two genera apart, if we are just willing to take a close look. 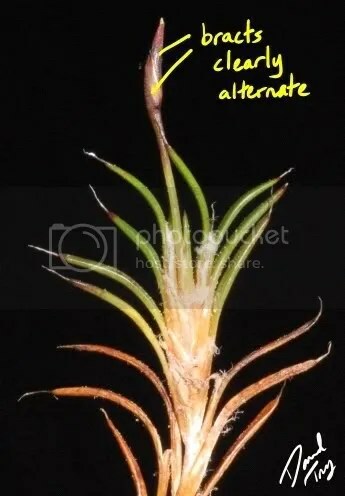 Apparently, the bracts of Centrolepis are opposte or near opposite whereas those of Gaimardia are clearly alternate (i.e one is above the other). I imagine it might be quite difficult tell these two genera apart when they are not flowering. Maybe the late Dennis Morris would be able to. He co-wrote the flora after all. This entry was posted in Key Characters, Plant Morphology, Tasmanian Endemics and tagged Aphelia, bracts, Bristlewort, Bristlewort family, Centrolepidaceae, Centrolepis, Centrolepis monogyna, Cushion-Bristlewort, Endemic plants, Fanwort, Gaimardia, Gaimardia fitzgeraldii, Pincushion, Woolly Pincushion. Bookmark the permalink.